5 red roses and Raffaello. The red rose is always current and always in fashion and a bouquet of roses with chocolates will be a wonderful gift for any celebration! 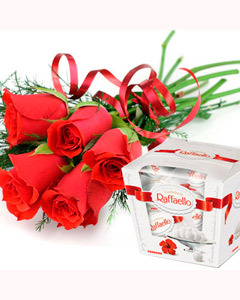 5 red roses, a box of chocolates Raffaello -150g.